The gt-geotiff module in the plugin group provides access to the GeoTiff file format. What makes GeoTIFF useful is the ability to store extend, and coordinate reference system information in the metadata fields of a normal TIFF file. 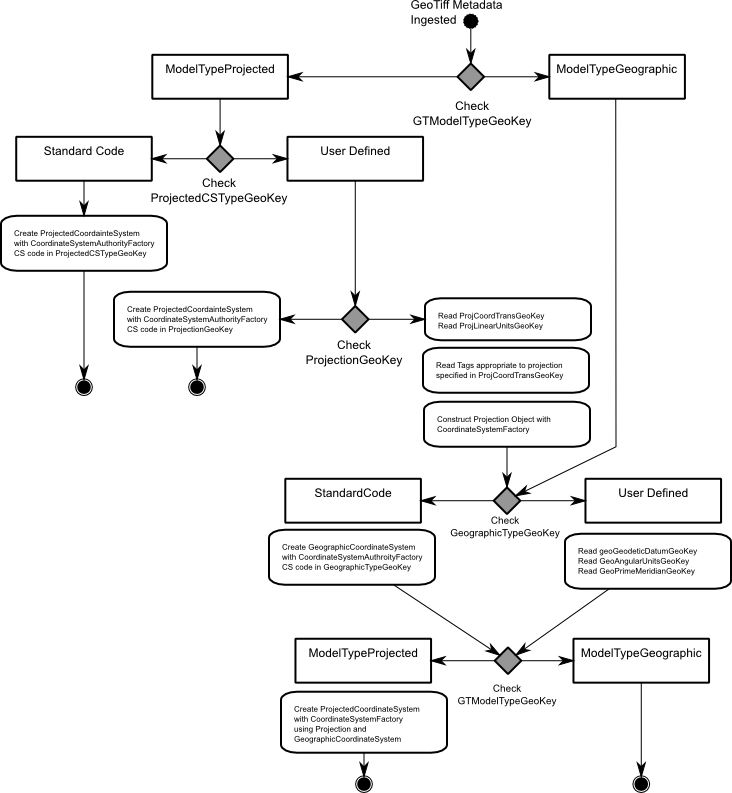 The above “flowchart” describes the order in which the GeoTIFF plugin examines the GeoTIFF tags and Keys in order to construct a coordinate system to accompany the raster data.